Welcome to Seabrook Shrewsbury, an award-winning, CARF-accredited outpatient treatment center in New Jersey. Here, men and women struggling with substance addiction and alcoholism find the life-affirming support and evidence-based treatment they need to make recovery an achievable reality. Seabrook Shrewsbury is a safe, serene and sober environment where individuals and families receive group and individual counseling, education, monitoring and treatment to overcome addiction and heal the damaged lives it leaves behind. Like all Seabrook recovery programs, our Shrewsbury outpatient program focuses on whole-person healing—mind, body and spirit. Participating adults find clinically proven treatment protocols, loving support and a flexible schedule that allows them to remain employed, take care of family responsibilities and live at home. Seabrook Shrewsbury is a home away from home, far more than a location for meetings and therapy. For the men, women and families who seek refuge from addiction, Seabrook is a haven where they share stories, make connections and gain strength from others who are weathering the storm. Seabrook Shrewsbury is also a place for personal growth and socialization. The center features a lounge equipped with Wi-Fi and cable TV, as well as meeting spaces for workshops, classes and 12-Step meetings. Those interested in obtaining CEU credit or reserving our facility for self-help meetings should contact events@seabrook.org. Outpatient programs at our Shrewsbury center include individual, group and family counseling as well as holistic modalities that help patients and families heal the wounds of substance abuse. Our Director of Outpatient Services, Larena Wilde, MS, LCADC, oversees all programs, and our highly credentialed, licensed staff provides inspired guidance that comes from vast experience in the counseling field. The number and frequency of counseling sessions for patients in the Seabrook Shrewsbury treatment program depend on the needs of the patient and family members. Required attendance may vary from one individual session per week, up to four days per week of individual and group counseling. The programs are flexible and based on a patient’s work or school requirements. Both day and evening sessions are scheduled, and Saturday sessions are planned when appropriate. Seabrook Shrewsbury’s focus is on our outpatient clients, and we strive to make treatment accessible and convenient. Courtesy transportation is provided to those who need it, and attendees are offered local restaurant take-out menus if they wish to eat during the program day. 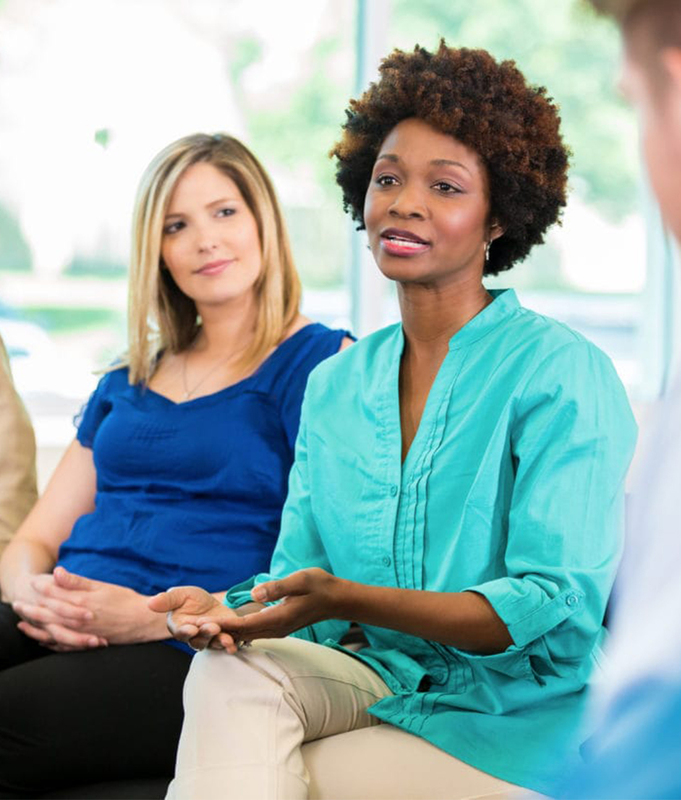 When you or a loved one needs help overcoming addiction, but residential treatment is not an option, the award-winning outpatient program at Seabrook Shrewsbury has the solution. Our CARF-accredited center is the “heart of recovery” and a safe place to embrace sobriety and hone your recovery skills. Offering deep clinical and experiential expertise, Seabrook’s network of facilities delivers a continuum of care that includes outpatient counseling, addiction education, family support, relapse prevention and long-term rehab. To verify insurance coverage and discuss benefits, call Seabrook Shrewsbury at 856-663-0010. A knowledgeable and caring admissions specialist will guide you through the process. For the convenience of clients and families, Seabrook partners with many health insurance providers, including Aetna, AmeriHealth, AtlantiCare, APS, Health Net, Horizon Blue Cross, MHN, and Value Options.